The Toronto FC player scored against Italy last week and could be on his way to Scotland. Nigerian international striker Bright Dike could be set for a training stint at Celtic. 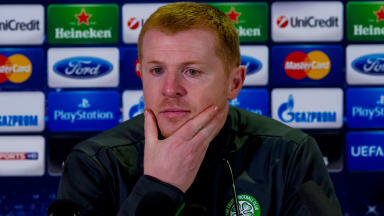 STV understands the Toronto FC player, who netted in his country's recent 2-2 draw with Italy, may join up with Neil Lennon's squad at Lennoxtown within the next seven days. 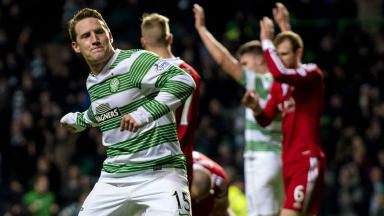 The 26-year-old's proposed spell in Scotland would be subject to approval from Major League Soccer and his current club. Reports in Canada on Monday said that approach is yet to be made but it is understood talks will take place in the coming days. 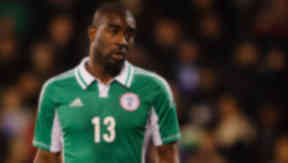 Dike netted once in seven starts in Major League Soccer in 2013, having only returned to action in August following a cruciate ligament injury. He was then traded by Portland Timbers to Toronto in September having netted six times in 23 appearances across two years. He came to Major League Soccer via the SuperDraft in 2010 after leaving University of Notre Dame. He was picked by Columbus Crew but was then waived, before joining Portland Timbers. Dike has two caps for Nigeria and scored his first goal for his country in the 2-2 draw with Italy at Craven Cottage.